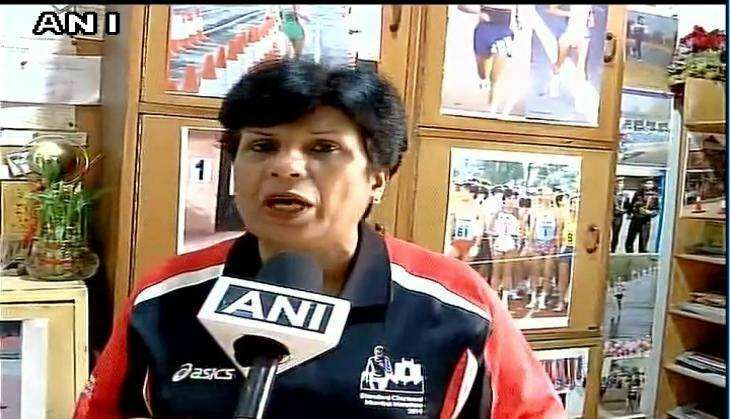 On 9 August, former marathon runner Sunita Godara joined the chorus of those criticising writer Shobhaa De for her remarks on the Olympics. "Goal of Team India at the Olympics: Rio jao. Selfies lo. Khaali haat wapas aao. What a waste of money and opportunity," Shobhaa tweeted. The remark attracted widespread criticism, including from 2008 gold medallist shooter Abhinav Bindra, badminton player Jwala Gutta and former India hockey player Viren Rasquinha. India, who have sent their largest-ever contingent of 119 athletes in Rio Olympics, are yet to open their medal account in the ongoing Summer Games. While condemning Shobhaa for her remarks, former athlete Godara emphatically asked the author whether she had any idea of hard work and training an athlete goes through to even qualify for Olympics. "It is not easy to even qualify for Olympics. It takes at least six years and guts to reach that level," said Godara. "What does she know about sportspersons? They don't realise how much hard work is put in when you qualify for the Olympics. How dare she speak like that?" she added. "Now she has to 'eat crow' because whatever she said she must be regretting. She shouldn't have done that; she should apologise," Godara continued. "She doesn't know that these athletes are training hard against all odds to qualify for Olympics. If they are not getting medals, that is another question. Going there and reaching up to the Olympics is a great achievement for Indian athletes.